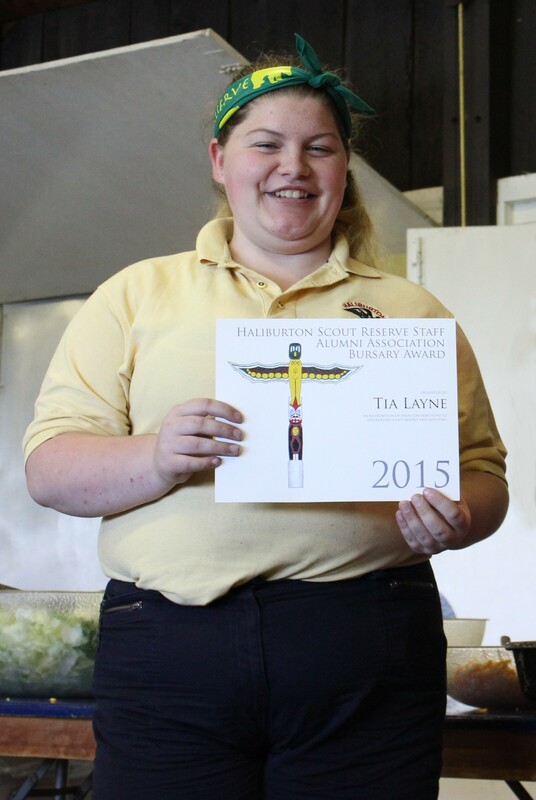 We are very pleased to announce that the winner of the 2015 HSR Alumni Association Bursary award is Tia Layne. Tia first camped at HSR in 2010 and joined the staff in 2013 as the Archery Instructor before moving into the retail side of things. Tia will be returning to the University of Windsor this fall to continue her studies in the Dramatic Arts program and already plans to follow that with an Education degree to reach her goal of becoming a high school teacher. “Scouting is not just about camping and tying knots; it is about the bonds you make with people”. Congratulations to Tia, the winner of the 2015 HSR Staff Alumni Association Bursary Award. Sorry that I’m only hearing about this now.